Home crypto exchange news ripple Why is XRP green today when the rest of the market sees red? 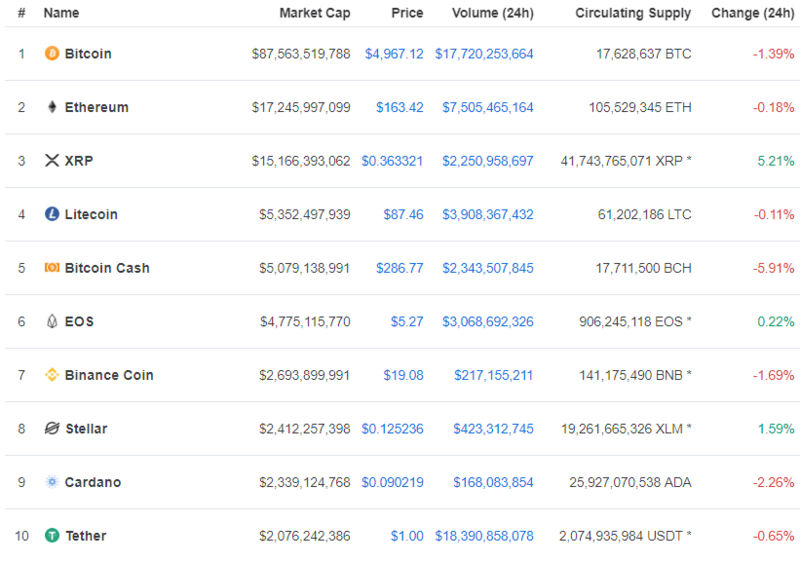 Ripple sees a nearly 5% gain in price while the rest of the major coins in the top 10 saw red. What could be the cause for XRP's green push today? While Ripple has become synonymous for being one of the coins that pumps the hardest in bull markets, the past three months have shown little to prove that, as Ripple (XRP) remained unmoved as other altcoins surged in price. While some would say the bull market is not here yet, other coins have seen surges in price in excess of 100% since January 2019. Binance Coin (BNB) has seen a surge of 300% since January with Cardano (ADA) climbing 225% in the same time period. Several others including Bitcoin have seen solid gains in 2019. However, XRP has not. The token has barely moved since January 2019. As each dog has its own day, XRP would be expected to push into new territory in 2019 as most coins that felt the pinch in 2018, have done. XRP would be primed for some major moves since being absolutely silent in the recent weeks leading up to Bitcoins latest surge over $5,000. Traders would argue that XRP has plenty of room to go up following patterns mimicked by other altcoins that surged 70% and above. Could XRP lead the push in the next bull market? While the all-time high of XRP at $3.84 is currently way off, there is no doubt that the third most popular cryptocurrency in the world can't test new highs in 2019. Lot's of room to run if this can finally find some ground. Look for a break of market structure in the upcoming week.